November was spent going around the world, with my first stop being Cape Town. 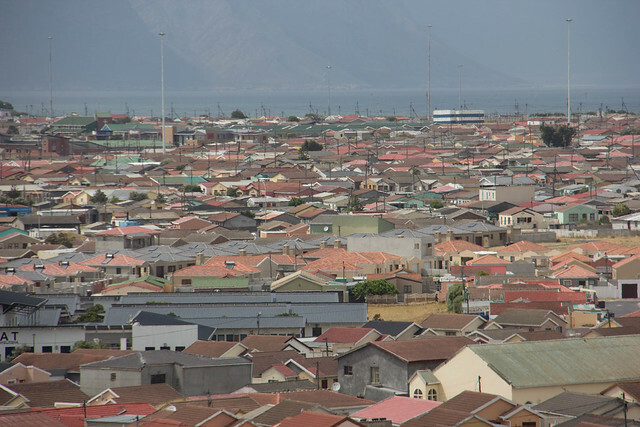 I had two goals: quality time on the beach and visiting a township. 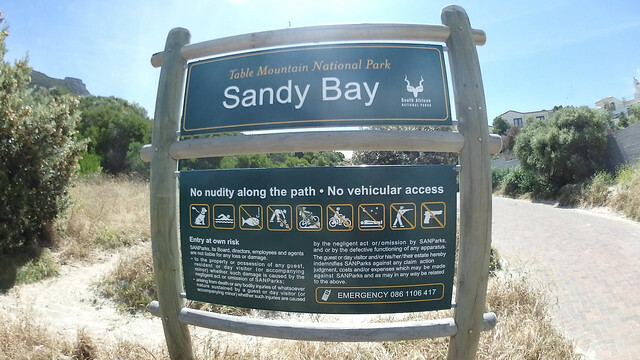 Both were accomplished: I spent a day at Sandy Bay Beach. 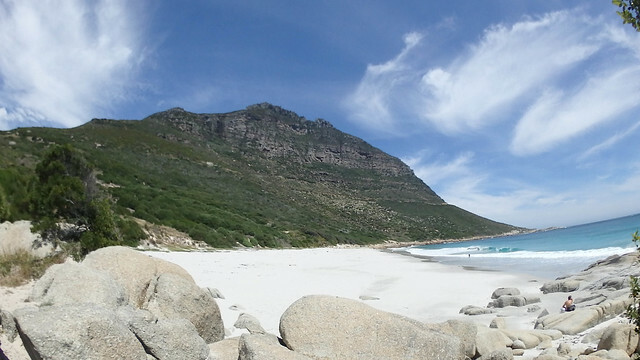 Although I’d picked a B&B close to the beach – Chapman’s Peak Bed and Breakfast – it was still quite a hike up and down to the beach. A better day, though, could not have been asked for. The sand was perfect – comfortable – and the sun warm. 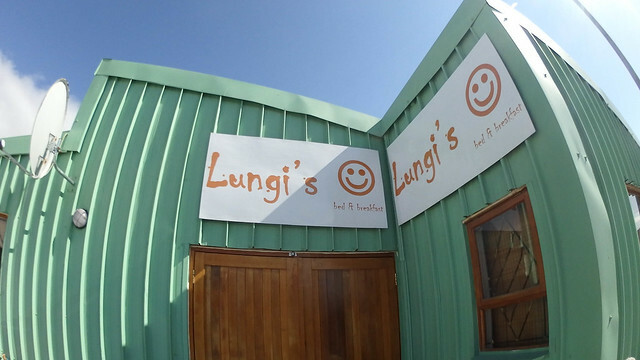 The second goal was accomplished with two nights at Lungi’s B&B in the Khayeltisha township. The stay was quite the experience – I was the “mlungu” – the white man. The funny thing is that, although I was there well over a month ago, I am still processing my visit: Apartheid lasted for 43 years – the consequences will last a long longer than the policy. 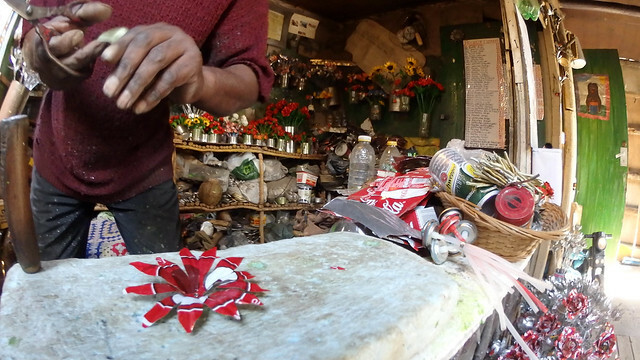 My trip included a tour of the township – visiting a local daycare/preschool, an artist, and a flower shop where all the flowers were made of cola cans. 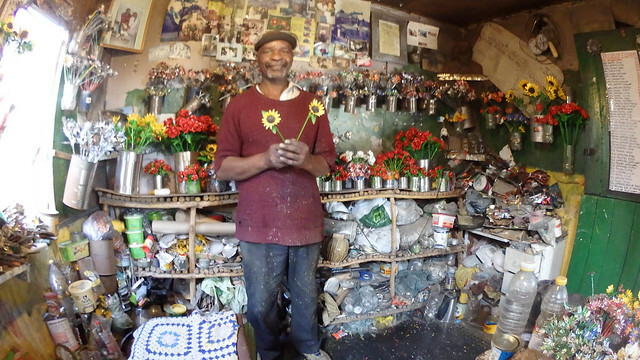 It was sad leaving Cape Town – I could see spending a lot more time there, taking a much longer vacation. Some time ago I asked you about gay bars in Weimar, where I spend my summers. I just wanted to say I still read your blog and enjoy what you post. Thanks! Sorry about not posting more often. Work’s been super busy and my private life is a bit crazy.